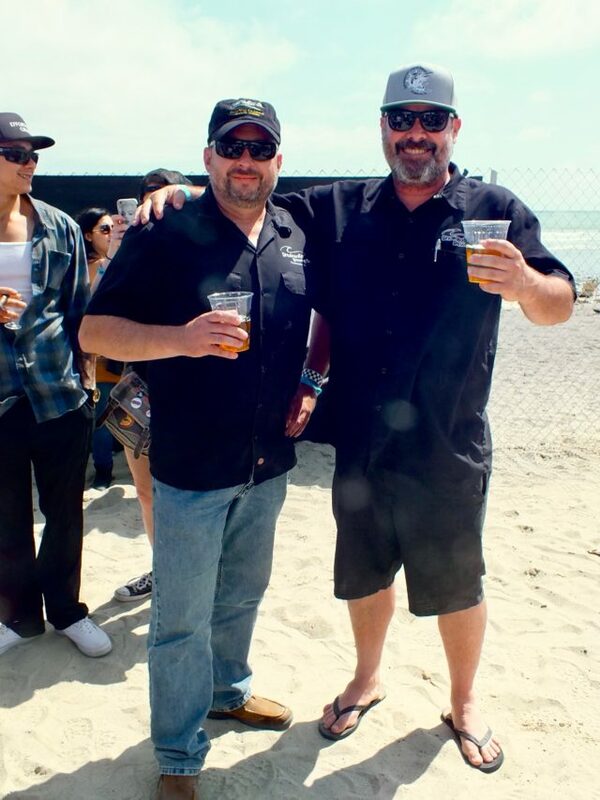 Brewers from Breakwater Brewing Company in Oceanside sharing their beer. Photo by Ed Simon for The Los Angeles Beat. Bijan with a Proper Pickle. Photo by Ed Simon for The Los Angeles Beat. Buying leather goods from vendor at Sabroso. Photo by Ed Simon for The Los Angeles Beat.